Why the UK Government digital strategy is more about business transformation than digital. 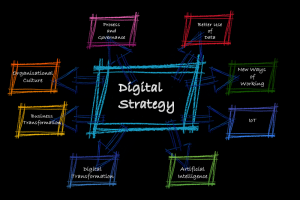 Although the recently published UK government’s digital strategy differs from that of the digital strategies of Uber, Google, Amazon and Microsoft, it is a step in the right direction but needs to be bolder. The government’s digital strategy is about improving services for citizens and rightly so, but now emphasises business transformation, which has in our view always been the missing piece. Business change comes first with digital playing a significant role, but not as the expense of other factors. The 2020 vision includes more of the digital aspects of transformation embedding technologies into the services by including IoT, wearables and Artificial Intelligence but these need to be in the context of how best to deliver business change. Testing against business scenarios will play a critical part. The government is continually improving business functions and processes including enabling digital through business transformation, and the emphasis of the strategy is to continue with improving business processes by being adaptive and responsive to change providing opportunities for citizens to connect with their services in a digitally enabled way. From our experience in working in government, we will illustrate what this would mean for public sector organisations. The biggest challenge faced by organisations will be the ‘people’ side of change. The cultural shift is a business transformation function, and digital will succeed if this change is a cultural shift, for staff to embrace it. Our experience tells us that technology and people change go hand in hand else we will see no value indeed often through ignorance or lack of knowledge slow down the pace of change or react negatively. Our proven methodologies in delivering this cultural change and change management in business transformation have proven to be successful, and we can honestly say that it is necessary to get the culture part right in the business transformation process before leaping into digital aspects. The critical component is the pace of change. The pace of citizens propensity to embrace digital is arguably faster than the ability of the public sector to embrace and offer cultural change. Improved productivity, working in remote and flexible locations. Increased compliance to worker regulations. The positive impact to employees wanting to work for the employer. ‘statement of intent’ – employer making a tangible step change in the way it operates using this area to make a wider transformative change. Most notably in accommodation rationalisation. You can further read about the public-sector organisations that have has gained positive outcomes from New Ways of Working. “The right people, skills and culture are vital to serve the public successfully.”The common issue lies in the inherent nature of resistance to change. Recruiting and changing existing employees to a common thread of constant change is an ongoing battle. Also, the common obstacles that lie within the public sector are down to the hierarchical structure and the c-level and directors failing to understand digital in the context of business transformation. This hierarchy can be a barrier to decision making and stop creating a more agile organisation. Furthermore, the culture issues set back an organisation from delivering projects. However, in most public-sector organisations, due to the lack of expertise and knowledge required to go digital, it simply takes longer than expected with technology setting the pace. Some public sector organisations have begun to use cognitive technologies as part of the business transformation impacting citizens. Business transformation is well underway. In the majority of organisations, cognitive technologies are not at the top of the agenda for most CEOs. The reason is this, the business transformation is still underway with flexible working, BYOD, remote working all part of top priorities and until these changes haven take place and getting the culture right then implementing AI too soon within an organisation without the right people in the right roles will make it difficult. Making a return and ‘cashable’ savings often means that risk taking is minimised where all too often to break the mould risks need to be taken albeit in a managed way. The problem comes back to ‘you do not know what you do not know’. Often senior stakeholders find it hard to justify spend if it does not meet the bottom line. In summary, there’s more to do when it comes to laying the foundations for digital when considering aspects of technologies like cognitive technologies and the way forward is to truly change the way we work. A shift in culture in organisations will see digital transformation succeed. Shaping the way forward by delivering New Ways of Working to make an impact on public services connecting citizens and working in more of an adaptive and digital way leading business transformation first is essential. We would love to hear your thoughts. Please leave your comments. If you liked this article you may also like to subscribe to more articles like this. You can also download The New Ways of Working Infographic. What’s Next in Digital Business Transformation?